A newly released project commissioned by Arizona State University, in conjunction with the Charles Koch Foundation, provides a comprehensive guide for tackling the various issues surrounding criminal justice reform in the United States. Published by the Academy for Justice, a non-profit academic coalition, the compendium includes pieces on a broad range of subjects, including victims’ rights, grand juries, overcriminalization, and mental health, to name a few. The collection also examines problems within pretrial and trial processes, seeking to highlight and analyze unconstitutional practices. Nearly every corner of criminal justice reform is covered, making the four volume digest an essential tool for lawmakers, policy analysts, and advocates. As Professor Erik Luna, project director and editor notes, “The study hopes to bridge the divide between scholarship on the books and legal reform on the ground.” The project was truly an academic endeavor, as grantors had no editorial control over the pieces or the selection of authors. As such, viewpoints from various political spectrums are represented. One area in which the compendium shines is sentencing reform. Much criticism has been lobbed at the federal government by both liberal and conservative lawmakers over the past few years regarding sentencing practices for non-violent crimes; specifically, instituting mandatory minimum sentencing for minor offenses, which diminishes judicial discretion. In Volume 4, Professor John Monahan highlights the interplay between sentencing and risk assessment tools. He argues that “assessment of an offender’s risk of recidivism [is] a central component of criminal sentencing.” Under current federal laws, judges are not given discretion in sentencing. Monahan contends a lack of discretion can have “profound and dire” effects on public safety and the family unit. Instead, he argues, past crime, demographic characteristics, and psychosocial characteristics must be taken into account when sentencing. The costs of confining a non-violent offender go beyond fiscal and can have a ripple effect on generations of the offender’s immediate family and community. Furthermore, research shows that greater sentences for low-level, nonviolent offenders does not improve community safety. Many of the solutions argued in this compendium coincide well with renewed efforts within the United States Congress, including Monahan’s. Just last month, Sen. Chuck Grassley (R-IA) introduced the Sentencing Reform and Corrections Act with 6 Republican and 6 Democratic co-sponsors, a rare show of bipartisanship. The legislation includes provisions that would introduce a recidivism reduction program within federal prisons, add necessary risk and needs assessments, and give judges more leeway in sentencing nonviolent offenders, while simultaneously introducing harsher penalties for crimes involving interstate domestic violence. Though this legislation may not be considered in the immediate future, owing to Republican focus on healthcare and tax reform, it is a step in the right direction—and one that proves criminal justice reform does not have to fall into the usual left-right paradigm that governs modern politics. By committing to comprehensive reform, legislators can better the national situation by eliminating unhelpful—and often dangerous—policies in favor of a new path that promises better accountability and more sensible outcomes. Monahan’s work is just one example of how the voluminous data and scholarship contained in this compendium can be used to enact real policy and better the lives of Americans. Academy for Justice produced a thorough and accessible compilation of pieces to serve as building blocks for future criminal justice reform efforts. In addition to the timely piece highlighted here, research and analyses included in this compendium will prove valuable in forming smart, evidence-based reforms that elevate victims, enhance public safety, and protect taxpayers’ investment. 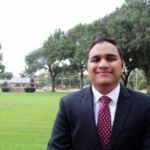 ROHAN VAIDYA is currently a sophomore at the University of Texas at Austin, double majoring in Government and History as part of the Liberal Arts Honors program. Originally from Sydney, Australia, he lived in many countries around the world before finally settling in the Lone Star State. He is thrilled to be working to defend liberty with TPPF.